Iran’s Foreign Ministry spokesman says an Iranian diplomat, who was arrested in Germany on the false charges of being linked to a bomb attack plot in the French capital, Paris, enjoys full diplomatic immunity. According to Press TV, Bahram Qassemi made the remarks on Sunday in reaction to earlier reports in certain media outlets quoting him as saying that immunity of the Iranian diplomat, Assadollah Assadi, was limited to Vienna, Austria, where he worked at Iran’s embassy, and did not extend to other countries, including Germany, where he was taken into custody. 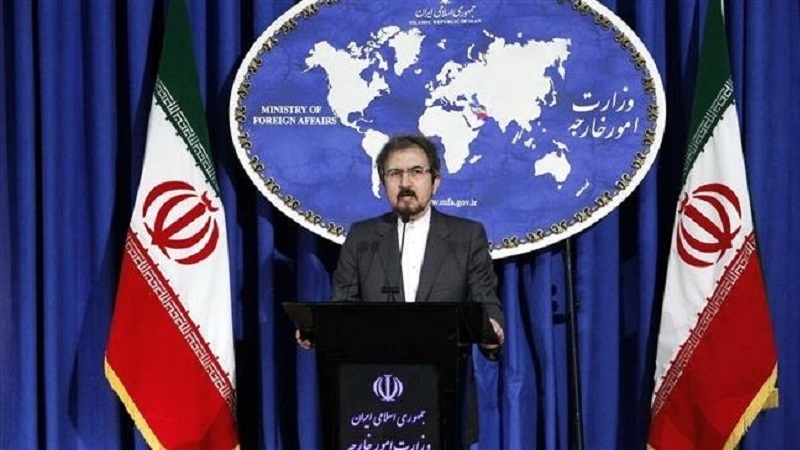 The spokesman added that some media reports had distorted his remarks on the immunity of the Iranian diplomat, emphasizing that distortion and selective coverage of legal and political matters could have undesirable consequences. “What I have said was that his [ambassador’s] diplomatic immunity is related to a diplomatic position he had in Austria,” Qassemi said. Based on Article 40 of Vienna Convention on Diplomatic Relations 1961, the Iranian diplomat had required immunity for his transit and return, the Iranian spokesperson added. Although the Iranian diplomat was not in his assigned country, he enjoyed full immunity as he was returning to the location of his mission, he noted. Germany extradited to Belgium the Iranian diplomat suspected of plotting a bomb attack in France, prosecutors said on Tuesday. Back in June, Belgian authorities said that the Iranian diplomat had been arrested along with a 38-year-old man and a 33-year-old woman, suspected of plotting a bomb attack on a meeting of the terrorist Mujahedin Khalq Organization (MKO) in Paris attended by US President Donald Trump’s lawyer, Rudy Giuliani, and several former European and Arab ministers. They added that Belgian police intercepted the two suspects in Belgium with 500 grams of the homemade explosive TATP and a detonation device found in their car. Assadi, 46, was arrested in Germany, suspected of having been in contact with the two arrested in Belgium. The director general for Europe affairs at Iran’s Foreign Ministry met Michael Klor-Berchtold to convey the Islamic Republic’s strong opposition to the arrest, detention and extradition of the Iranian diplomat and said the move was part of a manufactured plot by those opposing Iran-Europe relations and was planned by the MKO itself.